All mothers fall instantly in love and bond with their babies. If bonding isn’t automatic and doesn’t happen right away or it’s not intense, then that must mean you’re a bad mother. Wrong! This is yet another societal myth that serves to screw with the minds of new mothers. Before I proceed any further with this post, I want to be clear that I didn’t know and understand enough about bonding to worry about this much in the weeks following the birth of my daughter. One of my ongoing themes is to caution people against setting high expectations. The higher your expectations, the more there is at stake; thus, the greater your worries and stress are, the greater the chances you fill fall short of them, and the greater the chances are that disappointment will be the outcome. As through much of life and on the job, you need to learn how to manage expectations. Actually, you need to maintain a realistic attitude. It’s not really “Hope for the best, and expect the worst.” It’s realizing that hardly anything in this world and throughout life works out 100% the way you would like. 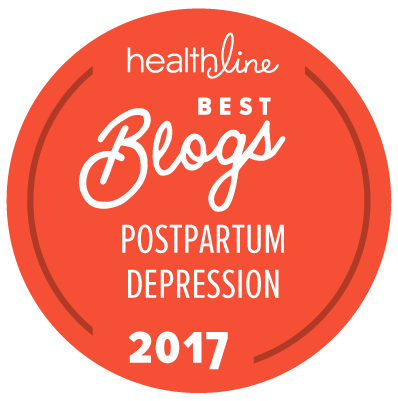 Expectations of having a natural, vaginal birth without pain relief; of immediate bonding with your baby; of immediate success with breastfeeding—if you set such high expectations, when things don’t turn out the way you envisioned, the feelings of disappointment at a time when you are both emotionally and physically vulnerable can lead to postpartum depression (PPD). Why do we set ourselves up to have such letdowns? Again, if you go in with certain expectations, you’re at greater risk for disappointment if your experience doesn’t match your expectations. It’s to your advantage not to have any expectations at all, but instead take things one step at a time. That way, there will be less chances of setting yourself up for disappointment if your experience doesn’t match that of others around you. Something else that society has you believe is that all mothers feel an immediately overwhelming sensation of love and joy—an immediate connection—with the baby at first sight. Does feeling anything other than that make you a bad mother? No. Does feeling unmoved, unemotional or disappointed at the baby’s appearance when they first see their newborns signify detachment and lack of maternal behavior and signs of depression? No. A woman may have certain expectations of how her baby would look at birth, or of how she would feel looking at her baby for the first time. She may have certain expectations of how she should feel at birth due to what they hear from other mothers and/or seeing photos of blissfully happy mothers holding their newborns immediately after delivery. It’s not unusual or bad to feel exhausted and numb after having gone through X hours of intense and painful labor. I remember feeling disappointed that I didn’t feel ecstatic the way some of my friends—not to mention women on television—felt after they saw their babies for the first time. She is merely setting herself up for a letdown if she doesn’t feel exactly the way she’d imagined she would feel upon seeing her baby for the first time. She might even be a little disconcerted about the baby’s scrawny, bloody appearance or head that might be a bit misshapen from being squeezed for the last X hours through her narrow birth canal or maybe a “stork bite” on the face. You prepare and long for the moment, picturing it all in your mind in the months leading up to your baby’s birth, in which you will fall instantly in love with your baby the moment she is placed in your arms. Don’t let the one mother you know or delivery scene on television convince you into thinking that that is a given occurrence with every childbirth. Not all mothers fall instantly in love and bond with their babies. Not instantly falling in love with and bonding with your baby doesn’t mean you are a bad mother. Per “Postpartum Depression Demystified” by Joyce Venis, RNC and Suzanne McCloskey (pg 47) “[It] takes time for that special bond to develop. You and your baby need to get to know each other a bit in order for those strong feelings of attachment to take root.” If after a few weeks you still feel detached from your baby, you should review my previous post on the symptoms of PPD to determine whether you are experiencing any other symptoms of PPD. Without a doubt, there is greater likelihood for a woman to experience “instant maternal rapture” if her childbirth experience goes well (in her opinion), but Susan Maushart (pg 87) in her book The Mask of Motherhood: How Becoming a Mother Changes Our Lives and Why We Never Talk About It states: “A woman who has been ravaged by hours or even days of excruciating pain and anxiety, or one who has been so thoroughly anesthetized that (depending on the drug of choice) either her body or her mind is numb, is hardly a likely candidate for ecstasy.” Maushaurt continues (pg 86) as follows: “[Recent] studies suggest that bonding with one’s newborn is a good deal more complex than achieving a magic postpartum moment. The fabled surge of maternal feeling which women have learned to expect in the immediate postpartum period is highly variable, even among women who have experienced the most ‘natural’ of natural births…. [and] there is no evidence that an immediate bonding experience is a precondition for the growth of maternal feeling over time.” Since magazines and books seem to focus so much on bonding, it’s no wonder there is such disappointment when what you read is not what you get—when you don’t experience that same “surge of maternal feeling” that other mothers have reported experiencing. Let’s take a step back now to ask the question “What is bonding, really?” Does bonding occur only with breastfeeding? No! If this were true, then does it mean that everyone who doesn’t breastfeed doesn’t successfully bond with their babies? No! Does bonding immediately occur upon first sight of the baby, and as you take him/her into your arms after delivery? No! Then what is it? Bonding is close interaction with your baby which includes holding, infant massage, singing/reading/talking to and playing with him/her. All these important types of interaction stimulate the baby’s cognitive/emotional/social development. I can’t say it any better than Shoshana Bennett in her book “Beyond the Blues: A Guide to Understanding and Treating Prenatal and Postpartum Depression” (pg 53): “There is no one magic moment of opportunity when bonding must happen….Even if your depression or anxiety has made it difficult for you to care for your baby, it’s never too late. Bonding is a process of familiarity, closeness, and comfort that continues for years.” It’s this connection that you have to focus on, not whether or not you breastfeed or were not yourself when you had PPD for several weeks. Don’t let books, magazines or other moms tell you that your baby will bond better if breastfed. Keep in mind that there are plenty of children all over the world who drink formula and are perfectly happy and develop close and loving bonds with their mothers. Bottom line is, if you love your child and show affection to that child, you will bond. If you are like me and missed a period of bonding opportunity while depressed, once you are out of that PPD fog, let go of what’s already past and make the most of your time with your baby going forward. Missing out on the opportunity to bond with—in other words, responding to the baby’s cry through comforting, holding, feeding and communicating—your baby immediately after birth for whatever reason, due to complications from birth for the mother (as with happened to me) and/or baby (jaundice, physical defect), does not mean you will fail to bond properly. Don’t let the image of bonding at birth become an obsessive thought. I mean, think about it…what about adopted children? They don’t stand a chance with bonding with their adoptive parents? I’d like to end with this. PPD that is not treated can prevent attachment and bonding, which can only reinforce feelings of failure—a vicious cycle, of which there are many when it comes to PPD! Thank you Ivy for bringing attention to PND, as it is so important to get early diagnosis and the right help. By telling your story you give reassurance that healing is possible. – and there is a lot of help available if you know where to look. The importance of avoiding the emotions of disappointment and failure around birth and bonding is undeniable, for all the reasons you explain. I would like to mention a proven approach which enables a Mum to minimise any risk of disappointment without compromising her chances of the best birth for her. In other words she can still have the intention or desire to birth in her ideal way. This is important because, in order to achieve anything in life, a belief in its possibility is a major factor. Choosing to believe it is not possible for you, or lowering your expectations in order to avoid the disappointment of failure, can become a self-fulfilling prophecy. Being aware of what you really do want generates motivation and method to increase the likelihood of the desired outcomes. As a Hypnotherapist and an antenatal HypnoBirthing Mongan Method teacher, we pave the way for success and minimise risk of disappointment by teaching couples to set a realistic goal to prepare emotionally and physically for birth so that they can feel confident and in control whatever turn their birth takes. A goal to do your best with whatever tools you have available is within your control – you know you CAN do that, and have no sense of failure. They focus on their intention to birth as preferred but know that they are equipped to deal with the unexpected. HypnoBirthing teaches skills including self -hypnosis, deep relaxation, fear release and breathing techniques. A key skill is the ability to maintain emotional balance. It is my hope that this information will help all Mothers to enjoy the safe and satisfying birth experience they deserve. You are so right Ivy : Ignorance is NOT bliss. Bravo for using your voice to educate, encourage, and empower others!! 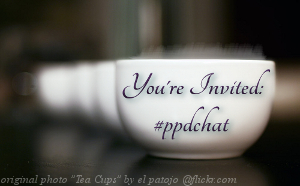 Could we please place your blog on our website to further promote PPD awareness? We thank you for using our site as a resource on yours…what an honour! Thank you so much for visiting my blog and for your words of support! Yes, please do include my blog on your website! It would be such an honour for me if you did that! We are all in this together to educate, empower and support other moms and their families!